How to Train a Neurotic Parent. It was just as I pulled the car to a halt outside of the school, that the second little traveller realized she’d forgotten her towel. For a girl who is organized, on time, and meticulous with details, not having a towel for school swimming lessons is a catastrophic event in one’s life. There was a definite foot stamp, an agitated groan, and a stormy exaggerated huff. The other travelers looked on with caution, they knew the drill, eyes forward, don’t suggest or comment, avoid eye contact and evacuate the area as soon as possible. “What time do you have PE?” I tried to keep my voice calm, which was hard because my head was about to explode with the idea of driving back to the freaking school again. The school with the carpark that resembles some sort of motor derby event. The school that requires a badge, a signature and a walk of shame; you may not notice the giant sign on your head as you make your way past each class “Yes, I am the completely disorganized mother who has neglected her child and forced her into this hideous toweless position.” I completed the walk of shame last week when I discovered the 4th traveller’s lunch money sitting on his car seat. I did it the week before with the third traveller’s lunch box, and the week before that with a library book. For a moment you’re confused. We? Is she coming to stay this week? Oh – you mean ME! I stood at the bottom of the stairs today barking out the usual enquiries to the ether. Library books? Reading logs? Homework folders? PE Uniforms? Swimming bags (minus the towel). Lunch? Guitar? Laptop? Trombone? There is a last minute inspection of teeth, faces and hair. As we rushed to the car, terrified of being late for the all important computerized testing that we’ve been reminded of all week, I notice an email from a teacher on my phone. I scrolled quickly – no half day tomorrow, Professional Development for the teachers on Thursday, there was more testing, not today but tomorrow. I mark it, and remind myself to drag it into the box with the other school emails that have arrived in the past 24 hours. Similar instructions, different children. The testing requires reminders that you believed were already daily events? Make sure he’s in bed early, make sure he’s has a good breakfast, make sure he’s not late. There was another email from a PE teacher, explaining the requirements of next week. An email from the 4th traveler’s teacher reminds me of the change in schedule and suggests I read the class blog for daily updates during the week. Daily updates? I need to check in daily? How does anyone hold down a full time job with this sort of responsibility. Speak to any parent of my generation and ask them how often their own parents went to their school. My mother coached netball, made honey snaps, chocolate crackles, and read the occasional reader. I’d beaten her in school visits by the time the first little traveler had completed Kindergarten. “I’ll come back with your towel by lunch time sweetie, it’ll be fine, there’s no need to stress”. She calmed, put her chin down and lifted her eyes up in my direction “thanks Mum” she mumbled. As she wandered off, she turned and blew a kiss in my direction. “There will be no sports on Monday”. No swimming – no towel required. No walk of shame, no trip to the school. 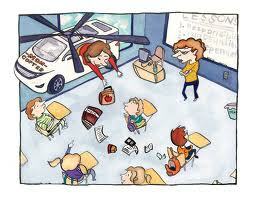 Ever wonder how parents become over involved and labelled as helicopter parents? It takes years of training.